What would it be like to spend an entire week rediscovering and honoring your self? Come journey with us to the Greek island of Santorini, for an empowering eight-day women’s retreat. We will be staying at the Pelagos Retreat Center, in the scenic cliff-top village of Oia, which overlooks the caldera where the lost civilization of Atlantis may once have stood. Here the soil is fertile with myth and magic. Each day we will hear the story of a new Grecian Goddess, whose voice will guide us though our daily practice, across the surreal landscape, and into the vibrant Greek culture. As we awaken in the mystical morning light, we will enter our morning yoga practice shaded beneath a cover of grapevines. Afterwards we will enjoy a 100% organic breakfast grown in the Pelagos gardens. During the day, there will be plenty of free time to explore the private beach, lie by the pool, give or receive a healing session, or explore the island scenery. At dusk, we will reunite to meditate on the breathtaking sunset over the indigo-colored Aegean Sea. Under the stars we will join hands with our new tribe in sacred ritual to embody and honor each Goddess archetype within ourselves and within one another. Sailing to Nea Kamini, the volcanic crater, and to the natural hot springs where we will bathe in the healing waters. Traveling around the island with a tribe of warrior goddesses on two-seater ATV’s! Experience a land alive with myth and Goddess energy, and explore your sacredness through embodied astrology, shamanic journeying, Synergy Partner Yoga, mythic storytelling, and more. Remember that each one of us is a healer, is a priestess, and is a goddess. Come find her, remember her, be her, and return home with an epiphany of your true power! Daily 90-min yoga classes led by Sabrina Ourania and Ananda McAdams integrating a fusion of yoga styles including vinyasa, kundalini, & synergy partner yoga, breathwork, qigong, and dance. 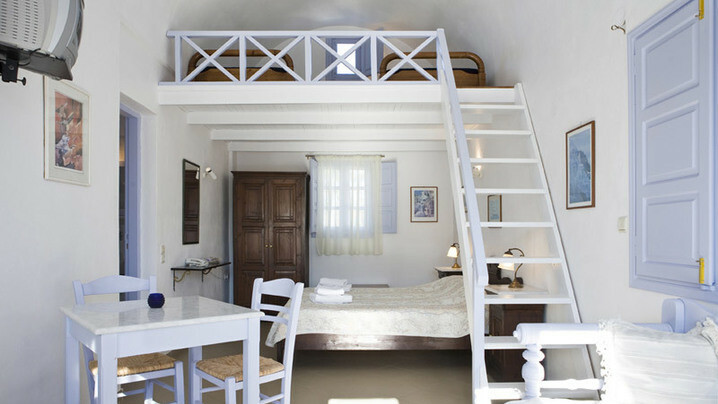 Not included: flights to/from Santorini Airport (JTR) and travel insurance. Guests are responsible for purchasing travel medical insurance and cancellation insurance which are also not included. Sabrina Ourania is a Holistic Coach, Shamanic Astrologer, & Yoga Instructor, and creatrix of *Goddess Alchemy* through which she sees clients and hosts transformational workshops & retreats. She is also founder of Astro Artistry by Ourania, an astrologically inspired jewelry line, Having been given the middle name, “Ourania” after her beloved Yia Yia (Grandmother in Greek), Sabrina later discovered that Ourania was also the ancient Greek muse of Astrology. Her longtime passion for astrology and love of mythology culminated in that epiphany, which illuminated the direction that her life and career would take. In her workshops and healing sessions, she brings together the ancient art and science of Astrology with the Healing Arts of movement, breathwork, mudra, chanting, drumming, gemstones & aromatherapy, & meditation to inspire healing in all 7 Chakras and across all levels of Being. Her life-mission is to encourage the re-enchantment of all Nature as sacred, by inspiring others to become conscious of their interconnectedness with a divine and intelligent Universe. Sabrina completed her Bachelors at George Mason University in 2011, where she majored in Philosophy and Religious Studies, then continued on to study Philosophy, Cosmology, and Consciousness at the California Institute of Integral Studies graduate school in San Francisco. Sabrina will soon be graduating from the Maryland University of Integrative Health, completing a Masters in Health & Wellness Coaching, with concentrations in both Nutrition and Herbal Medicine. Her search for meaning also led her to the Swami Satchidananda Ashram in Yogaville, where she completed her Integral Yoga Teacher Training in 2009 and began teaching Yoga. Since 2011, when she completed her Synergy Partner Yoga Training, Sabrina has been sharing the gift of Synergy Partner Yoga, a blend on partner stretching, acrobatic flying, and Thai Massage. She has also competed certifications in Thai Massage at the Thai Institute of Healing Arts, Supreme Science Qigong, has been attuned as a Reiki Master, and has been apprenticing with a Shamanic healer. When she is not working, teaching, or having sessions with clients, you can find her facilitating monthly women's circles, planning retreats, making her astrological gemstone jewelry, and instagraming photos of her cats. Ananda McAdams is a Los Angeles, California based yoga instructor, esthetician, makeup artist, and entrepreneur. In addition, she is completing a certification in holistic nutrition. She is the founder of Buddha Life, a lifestyle company that seeks to empower people to lead happier, healthier, more sustainable lives by transitioning to a green way of living by focusing on nourishing your body, food awareness, and environmental consciousness. She also founded a coffee based skincare company, Organic Girlfriend, that helps keep our bods looking their best by targeting problems like acne, eczema, cellulite, stretch marks, psoriasis, and many others. Through her ventures she aims to inspire women (and men) to quell body hatred, love their bodies, and recognize their inner goddess! Ananda earned her Bachelor of Science in Business Administration having doubled majored in Marketing and Management. After graduating she worked for at a start-up company outside of DC learning the ins and outs of building a business before her journey took an unexpected turn in 2010, leading her to the Swami Satchidananda Ashram in Yogaville where she completed her Integral Yoga Teacher Training after a month long immersion in 2010. She then enrolled at the Esthetic Institute where she received her Estheticians license and makeup artistry certification and shortly after began working for a variety of different skincare and makeup companies including Armani, YSL, Chanel, and Clarins. Ananda also has her certification in Synergy partner yoga and stretching (acroyoga). 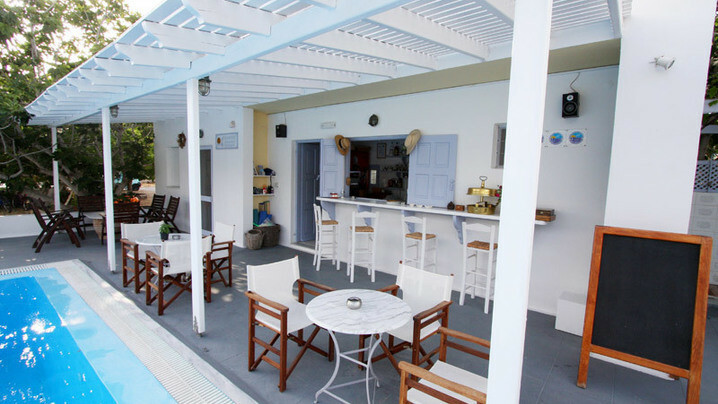 Hotel Pelagos is located at “Baxedes” of Oia in Santorini island, just 4km from the center of Oia village and 200m from the most beautiful beach of Oia, among vineyards and gardens where you will find all the beauty and calmness for your relaxation. 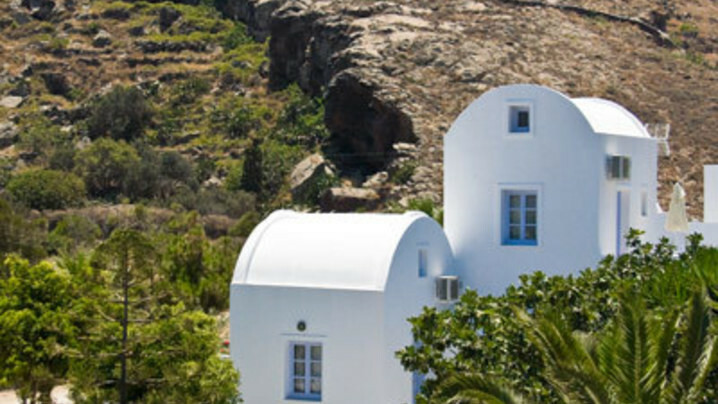 In perfect harmony with the landscape, the complex consists of 3 detached traditional Cycladic buildings – architecturally inspired by local houses, among gardens and pots filled with local plants and flowers. Overall the trip was great. Would recommend a retreat with Candace/TripTribe to anyone. What a magical, inspiring week! Everything about this trip was perfect - the hotel, the FOOD!!! !, the views, the adventures, the group, and of course the yoga. Thank you Sara for hosting such an amazing retreat! AMAZING!!! I couldn't asked for a better adventure. I was challenged and relaxed all at the same time. Santorini itself is beautiful, and the resort was beautiful. The hospitality was over the top. The food was unbeatable. It was so fresh. The people at the resort made us feel so welcome and at home. Beautiful pool and views. Would go back in a heartbeat and do it all again. Amazing trip, with old and new friends! The trip was amazing. There isn't one thing that could have been improved. It was absolutely perfect. My mouth almost hurts from smiling so much. This was a very well-organized trip regarding payment, and shuttles to and from the airport to the Pelagos Hotel. 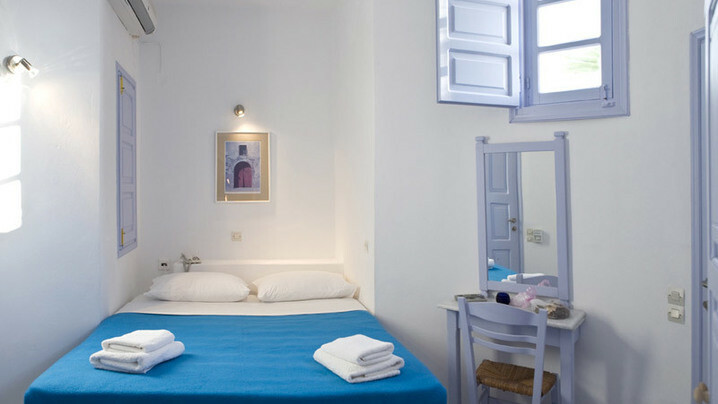 Pelagos Hotel in Oia was FANTASTIC and far exceeded my expectations. I will come back to this very special place/people. The facilities were wonderful, as were the food, amenities and staff. Overall, two thumbs up! This was a fantastic trip in one of the most scenic places on earth. The food at our resort was excellent. Join Sabrina's Tribe and stay up to date on their trip!